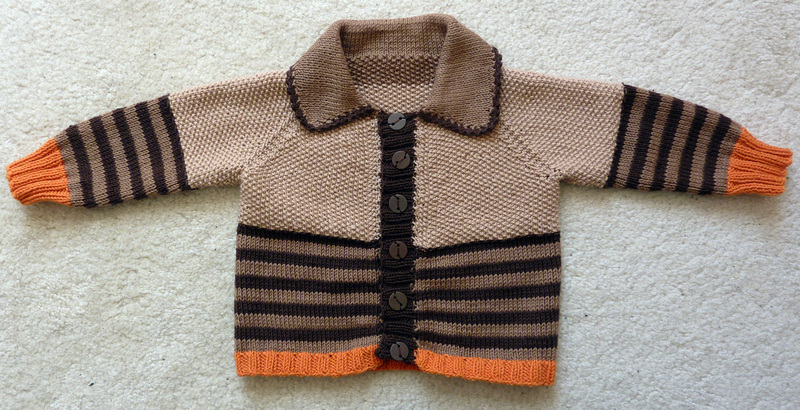 I’ve been able to finish another little cardigan, this time for my little man. The details are on Ravelry, but I’ll go into some detail here as well :-). 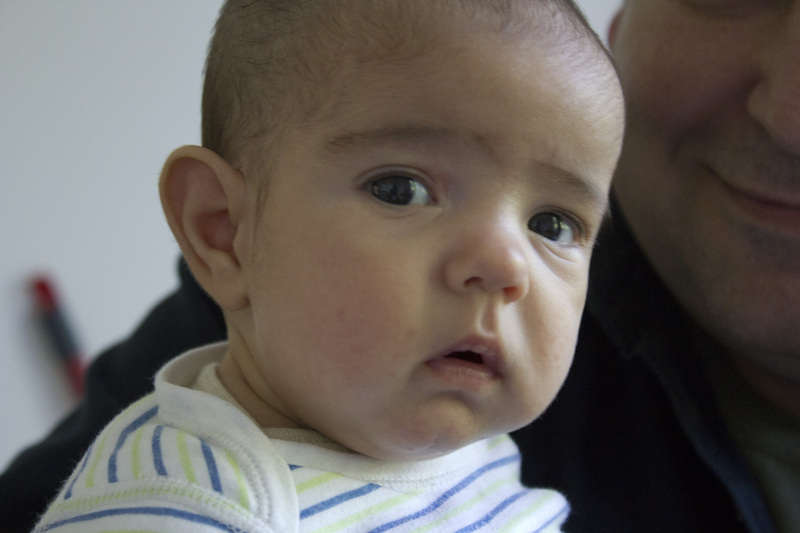 It’s from a pattern from Garnstudio, with Drops Safran Cotton that I had left over, and I amended the pattern slightly. 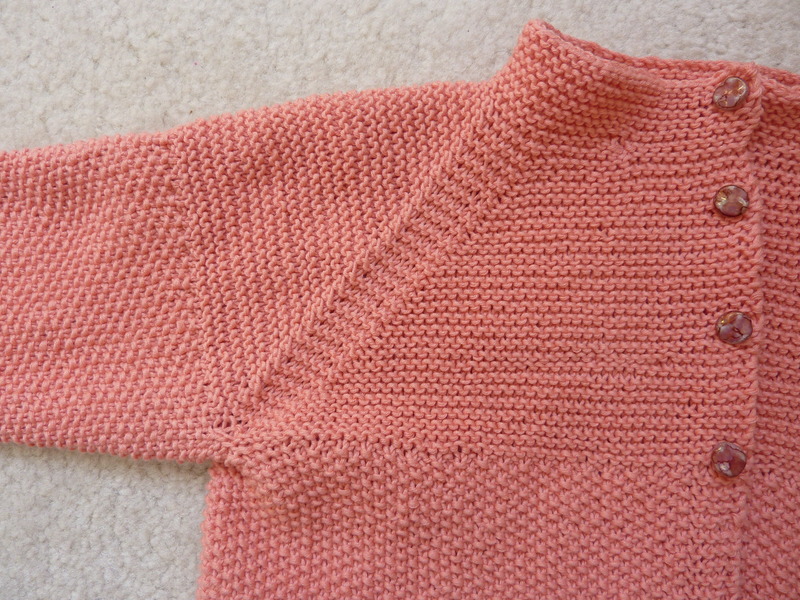 Instead of knitting the collar in moss stitch I changed it to stockinette stitch, as I think it’s a nicer finish. 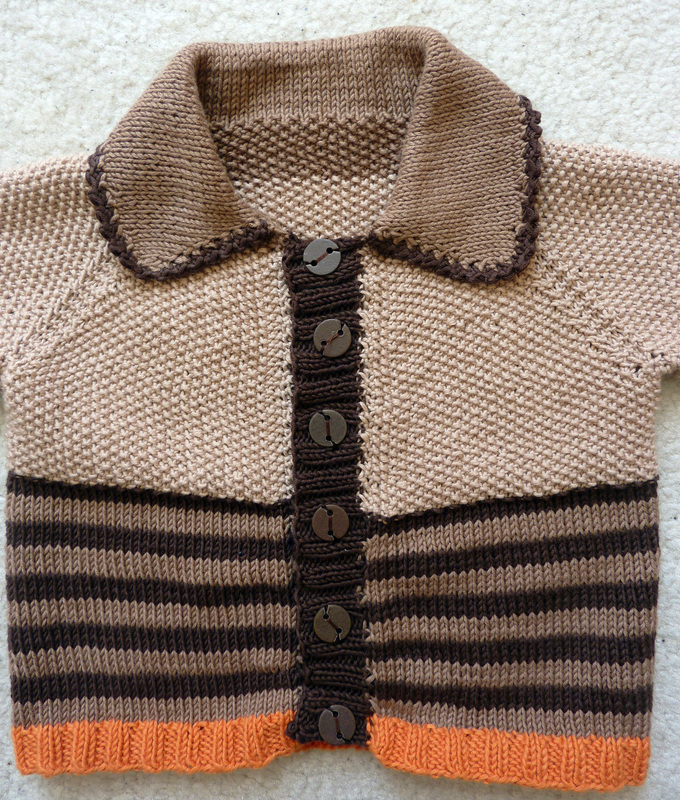 I think the colour combination gives the cardigan quite a retro-style look, like something from the seventies or so. 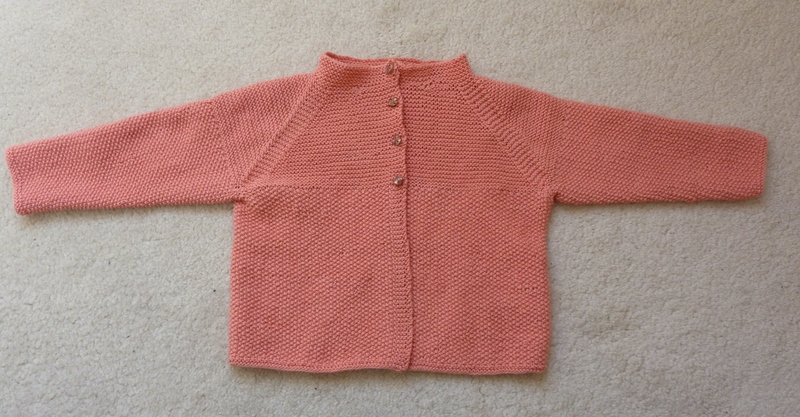 It was a really nice and easy knit and if you’re looking for an easy cardigan that’s just that little bit different, this could be it. 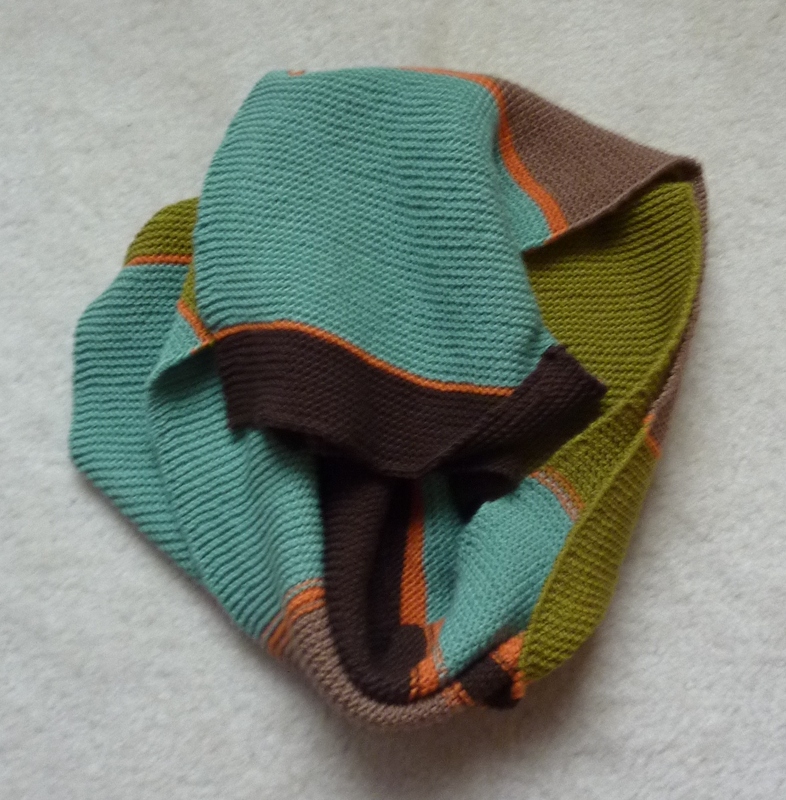 The combination of moss stich and stockinette stitch works really well I think and it works even better with the different colour combinations I picked as it distinguishes the differences nicely. I found some really cool buttons in my button box, but actually realised when I was putting the cardigan on Luke that they’re probably prettier to look at than practical as they get caught a little big within the buttonholes. 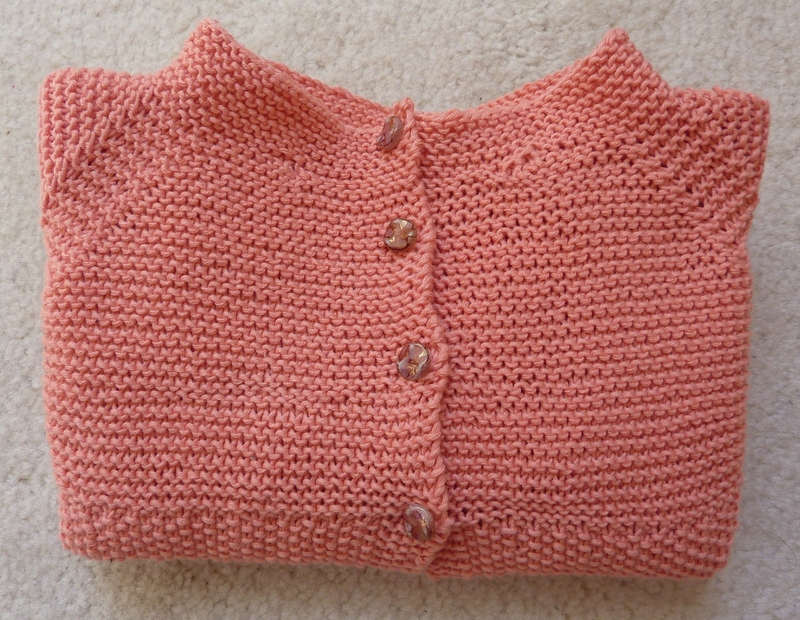 But I’ll leave them for now as I do think they finish off the cardigan quite nicely. 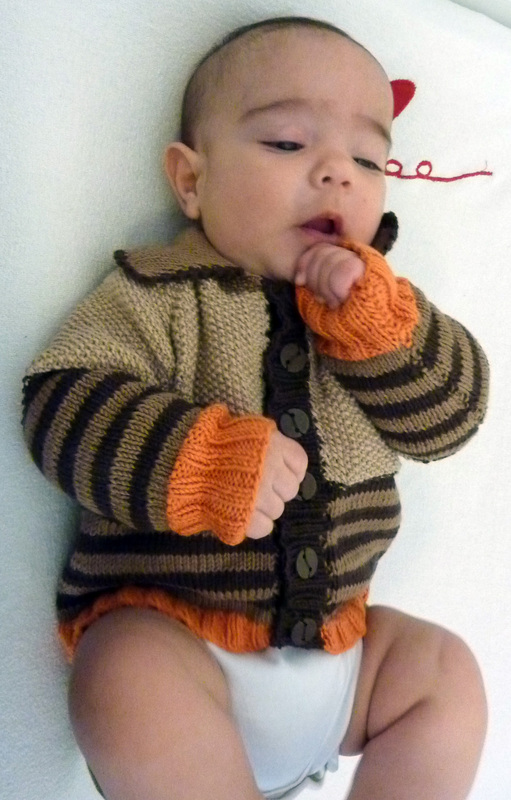 I used the Drops Safran yarn and picked some manly colours with some nice orange stripes interspersed. It’s worked out very well I think and was such an easy and quick knit and my man has had many positive comments on it from his colleagues and friends. This is actually the second scarf I’ve made for my man, but the other one is more of a winter scarf, it’s made out of wool and is rather heavy. So this can be worn in Spring and Autumn, and those days when it’s just a little bit too chilly. I used another pattern from the folks at Garnstudio. And have to just say what a pleasure it was to knit this. The body, as you can probably see is moss stitch and I always like knitting moss stitch as it comes out so well, especially with this Drops Safran cotton yarn. Additionally, the entire cardigan was so nice and easy to knit it was the perfect project to get back into knitting after about a month off. And then the raglan sleeves are added in and the rest of the cardigan was knitted in purl, which gives it a nice finish I think. I also managed to find these cute porcelain buttons that fit perfectly and give the cardigan that little bit of ‘che ne se qua’.